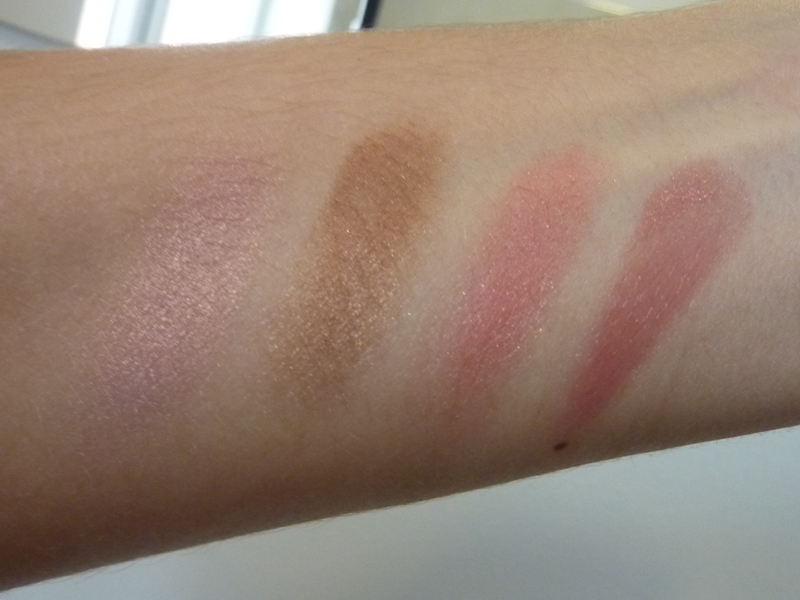 If you’ve been in Boots anytime in the last week or so this summer palette might just have caught your eye. Unfortunately the limited edition palette is not for individual sale, instead it’s a free gift when you purchase any two 17 products. I ordered mine online as the shops had sold out, and now I see why. The palette is really good quality and wouldn’t be out of place alongside premium palettes from the likes of Benefit and Stila. 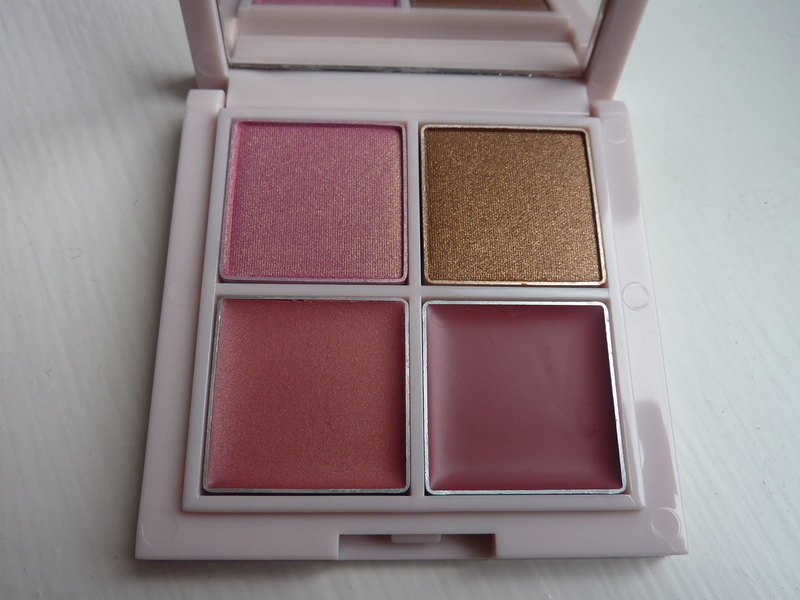 It contains two eye shadows (top row), a multi purpose cheek blush/highlighter (bottom left) and a lipgloss (bottom right). The golden coloured eyeshadow is divine – buttery texture, highly pigmented and metallic finish. The cheek product reminds me of a pigmented highlighter, think Nars’ Multiples or Topshop’s Cheek and the lip square is rosey glossy lipstick. 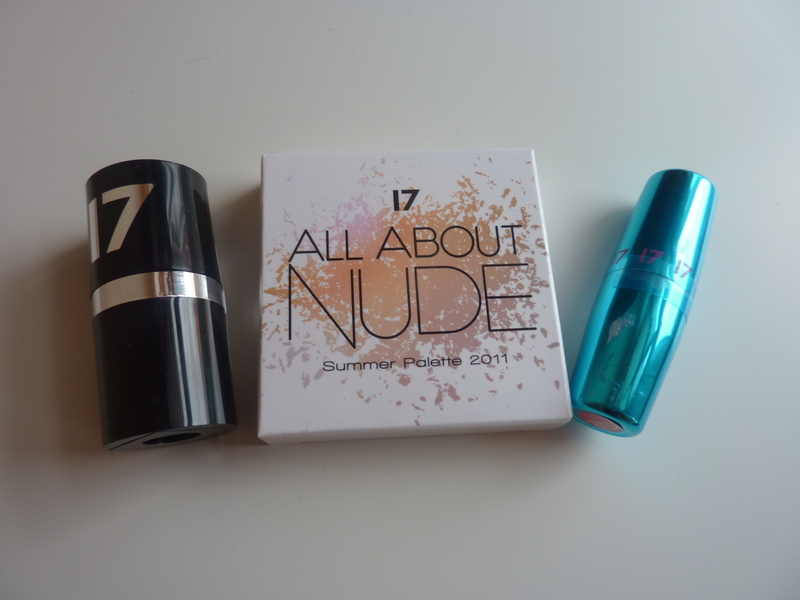 So which two 17 products did I choose to go with the new palette? Well, I opted for a mirror shine lipstick in Peace that I’ve had my eye on for a while and a practical, but slightly boring pencil sharpener (£1.99). If you fancy one of these lipsticks, order online. Boots have £2 off the Mirror Shine range, for some reason they’re still full price in store. 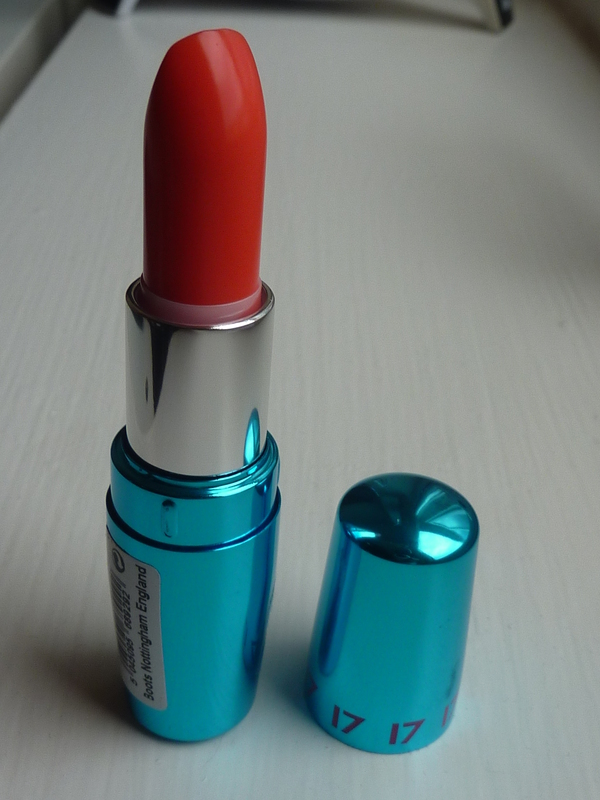 As the title suggests, this is a shiny, glossy lipstick. 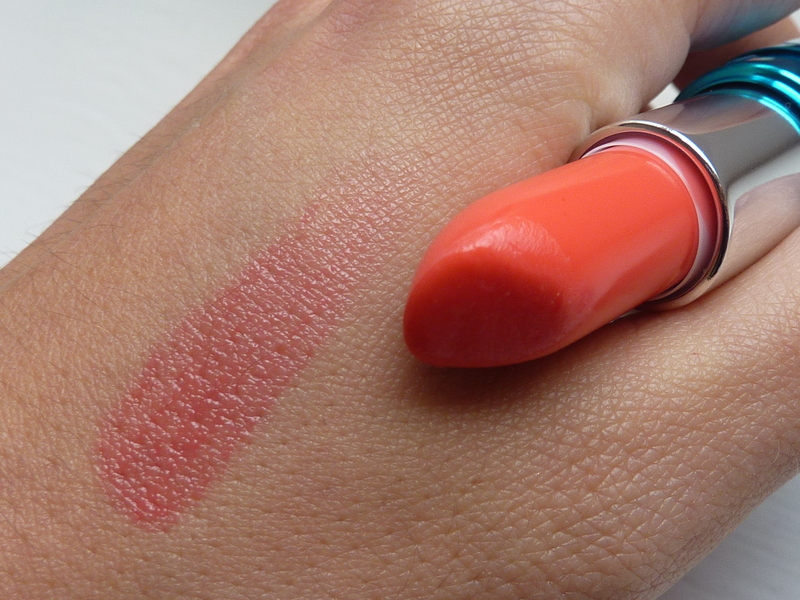 It looks like a lipstick but feels like a balm. It’s shiny like a lipgloss but not at all sticky. 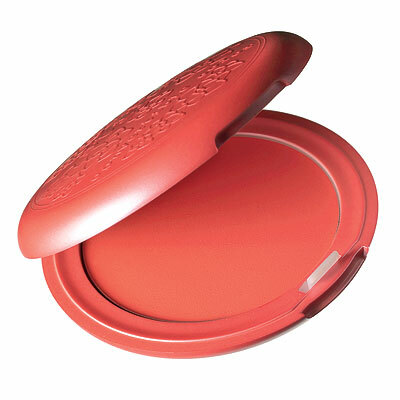 Peace looks like a bright coral, but on the lips, it’s more of a hot pink – either way it’s a nice summer shade and super shiny. All three products cost less than five pounds, a pretty savvy haul I’d say! One of my favourite make up brands is returning to the UK and I’m so excited, I have to share! 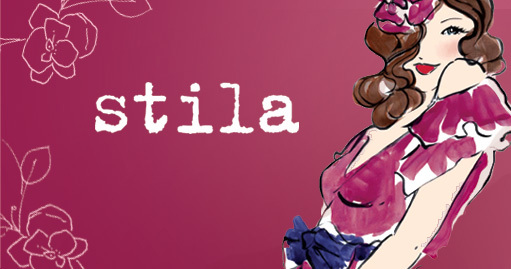 Modern, sophisticated, and fashionable, Stila is a beloved beauty powerhouse. Created in 1994 by a top celebrity makeup artist, the American brand soon assumed a cult following. Loved by beauty editors all over the world, the brand went down a storm in the UK but disappeared a few years ago. Since then I’ve picked up some discounted products in TJ Huges and on cheapsmells.com but my favourite products were soon snapped up. Back by popular demand I’m happy, no ectastic to report Stila is available on lookfantastic.com NOW and in stores from later this month! Cult-favorite the lip glazes, cheek stains and convertible colour all return, as well as some newcomers including the Swirly Perfect and Correct foundation. I’ll be rushing straight out to buy some Convertible Colour, a wonderproduct for cheeks and lips.